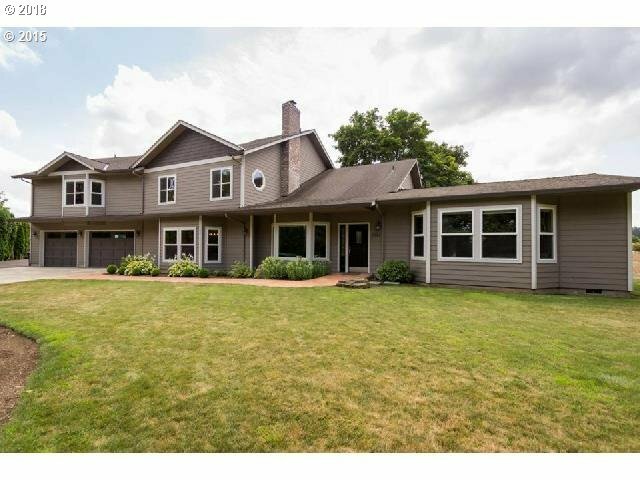 Private setting w/ acreage! Beautiful estate home w/ master on main and 3 suite bdrms upstairs. Cherry crown molding, stone & barnwood accents make this home really stand out. Large two waterfall pond, huge in-ground swimming pool w/ 10' deep end, & 30'X60' shop w/ 3 rollup doors. RV parking w/ septic dump & 220 amp electric. Separate studio apt w/full bath make for a perfect guest house. All this w/in a mile of stores & restaraunts!